Breakfast of Champions is a novel by Kurt Vonnegut, where two characters: a used car lot salesman/owner and an artist/science fiction writer/storm window installer (Kilgore Trout) collide together in an awkward story of pollution and a cross-dressing son’s rebellion, all in one hotel bar with a plastic drainage ditch. Also not to mention Bruce Nauman’s shimmering beams of light. 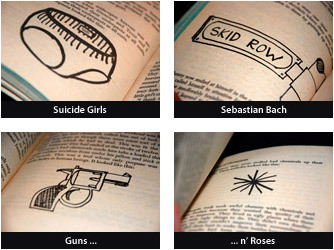 VONNEGUT: He always put little drawings in his novels, at least quite a few, boiled down to genius, sketches of the only sane person alive. 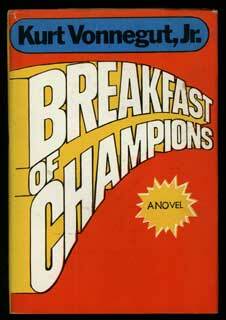 Spoiler: Breakfast of Champions was a dry Martini, the cover spoofed from the Wheaties box.